Trigger-point dry needling is a treatment in which an acupuncture-like needle is used to treat myofascial or muscular pain. Inserting a needle into a muscle to “de-activate” the trigger point may cause a localised “twitch” response. This feels similar to a mild local cramping sensation. The way in which dry needling works is still being researched and is a source of much debate among researchers and clinicians. There are many proposed mechanisms to explain how dry needling reduces pain and improves function. The localised twitch response that often occurs may disrupt the excessive activity from small motor nerve endings that causes ongoing muscle contraction or it may activate the body’s own pain inhibition system by stimulating local sensory nerves in the muscle. It has also been suggested that dry needling corrects the levels of pain-causing chemicals present in the affected muscle. Who would benefit from dry needling? Dry needling can be used to treat a wide spectrum of musculoskeletal complaints. Some examples of conditions that can respond well to dry needling include; tension-type headache, neck, jaw, shoulder pain, “tennis elbow”, buttock, hip and leg pain including hamstring and calf tightness. 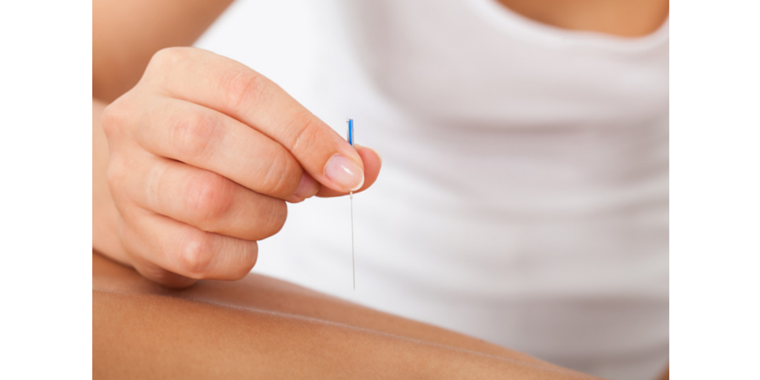 Dry needling is used as a combination therapy to reduce pain and improve function. It is still very important to identify and address any factors that contribute to the development of pain. As such, your physiotherapist may use this treatment in addition to other manual therapy techniques, exercise therapy and advise you on activity modification. Dry needling can be an unpleasant sensation at the time of treatment due the local twitch response. However, many people find it no more uncomfortable than massage therapy. It can result in a mild aching discomfort for 24-48 hours following treatment. This is a normal post treatment response but it not experienced by everyone.